I’m not even going to apologize from now on, I’m officially the worst blogger ever. I’m now writing my posts from a cramped New Orleans coffee shop. But I digress, I know its been forever. Lets just move on. I know I write about McQueen A LOT. 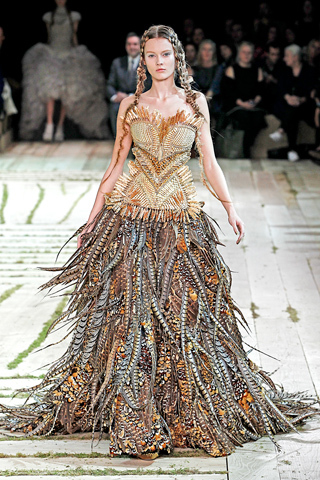 My sporadic posts are 97% of the time involving McQueen. 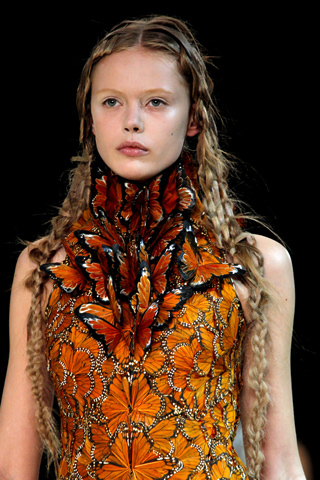 I can’t say it enough, McQueen McQueen McQueen. But I have to post this. 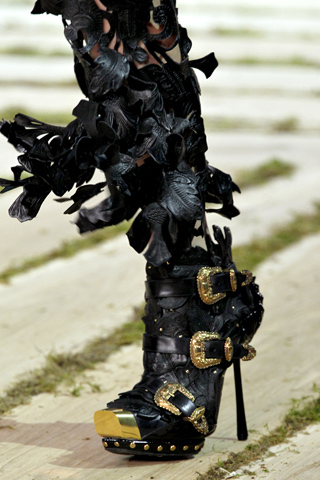 The Spring 2010 RTW collection was Sarah Burton’s (Lee McQueen’s successor) debut after the iconic designer’s passing. It does not disappoint. The entire collection is so…. crisp. Everything seems perfect and sharp, the colors are intense and the construction immaculate. It’s also a good followup to the late designer’s (or should I say ‘legend’) final collection. 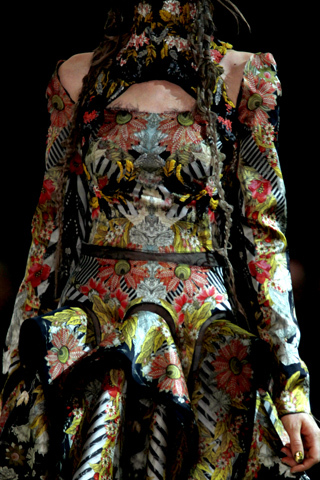 It continues with the romantic, medieval feel; everything so is royal and some pieces have a sort of Spanish influence.